Helping you get the most out of DirectAdmin and your web site! 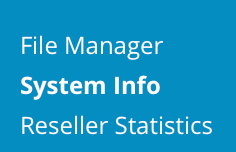 This section covers information about System and Services. 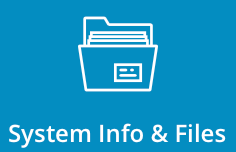 To access system information, sign into the control panel and then click on the "System Info & Files" icon, followed by the "System Info" link. The server information feature allows you to determine the memory usage of the server, uptime, and the status of all services. You can get an idea of how heavily loaded the server is by analyzing memory usage (for example, no free physical or swap memory indicates a heavy server load). System Uptime represents the length of time the server has been running since its last reboot. 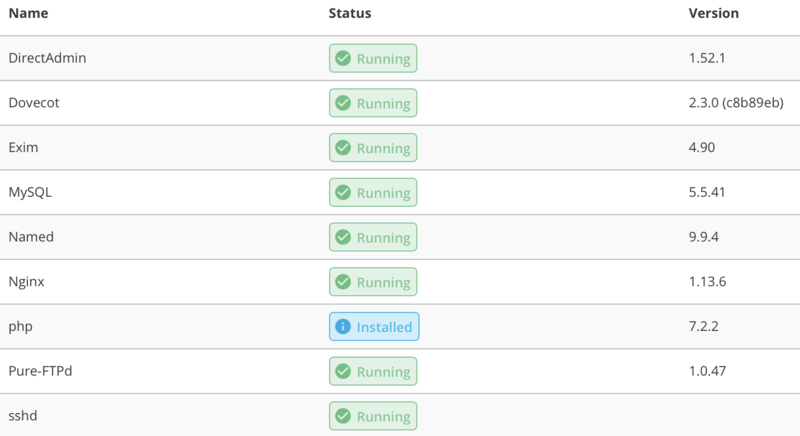 If a service does not show "Running" status, then it is probably down. For example, if the table shows that Pure-FTPd is down, then you won't be able to login by FTP until the server Admin restarts the service. Please contact your hosting company for more assistance, or visit the DirectAdmin support forum at http://forum.directadmin.com.